Lake Zurich, Ill., February. 12, 2015 ⎯ This Valentine’s Day, WarmlyYours is sharing the love by offering 15 percent off select towel warmers. The deal lasts from Feb. 14 through Feb. 20 between the hours of 8:30 a.m. and 5:30 p.m. CST. It applies to the company’s plug-in and hardwired Infinity models; freestanding Barcelona model; polished stainless steel Sierra model; tubular Riviera models in two finishes; minimalistic Studio model; and high-end Metropolitan model. The Studio and Metropolitan towel warmers are the company’s newest additions. 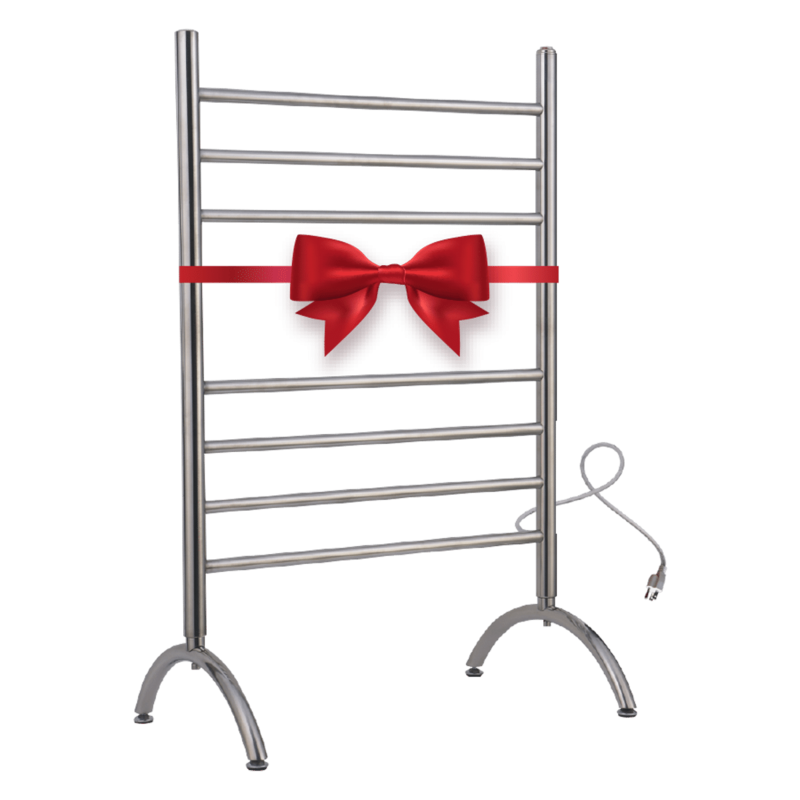 The Studio is a plug-in towel warmer with six bars and a polished stainless steel finish, while the Metropolitan is a hardwired towel warmer with 10 bars and a large, polished stainless steel frame. Previously, these models were only available through outside retailers, but now they are widely available. For trade professionals, this holiday discount can also be applied with a regular trade discount. The extra 15 percent discount will be applied after the trade discount. Furthermore, there is no limit on orders during the time period of the promotion. Customers should reach out to WarmlyYours at 800-875-5285 for full details about the promotion.